A Shannon Ravenel Book, 9781565123939, 368pp. 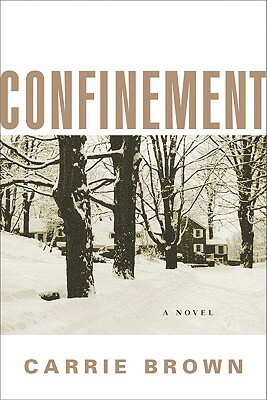 On a snowy night in the winter of 1946, Arthur Henning arrives at a New York banker's country estate. All he has with him are his young son, his sewing machine, and the painful history of the refugee—the home in Vienna he left behind, the wife and infant daughter who perished in Lonon's blitz, and the relatives and friends who disappeared into the abyss of the Holocaust. He has come to begin a new life and to forget. Once an expert tailor, now he is employed as a chauffeur. He drives Mr. Duvall to work in the city, Mrs. Duvall to her shopping, their daughter, Agatha, to school. The job gives Arthur solace. There's a cottage for him and his son, Toby, to live in, congeniality in the mansion's kitchen with the other servants, pleasure in watching Toby grow up alongside charming little Agatha. And so there he remains for nearly a decade, hidden, unable to confront his shattered faith, his fear, and the measure of everything he has lost. Hidden, that is, until life steps in to release Arthur from his seclusion. On orders from Mr. Duvall, he must drive Agatha to her own confinement in that peculiarly evil American institution of the 1950s, a home for unwed mothers. The Duvalls' plan to give the baby away shocks Arthur from his emotional slumber. The story of these two people—a man who has lost his past and a girl who is forced to give up her future—winds its way to a conclusion that is both inevitable and wholly unpredictable. Infused with her trademark haunting sensibility, Carrie Brown's fourth novel is a deeply moving tale of the small miracles and large revelations of love. Carrie Brown, a former journalist, lives in Sweet Briar, Virginia, with her husband, the novelist John Gregory Brown, and their three children. Her first novel, Rose's Garden, won the Barnes & Noble Discover Great New Writers Award. Her most recent book, The Hatbox Baby, won the 2001 Great Lakes Booksellers Association award for fiction and the 2001 Library of Virginia Literary Award.